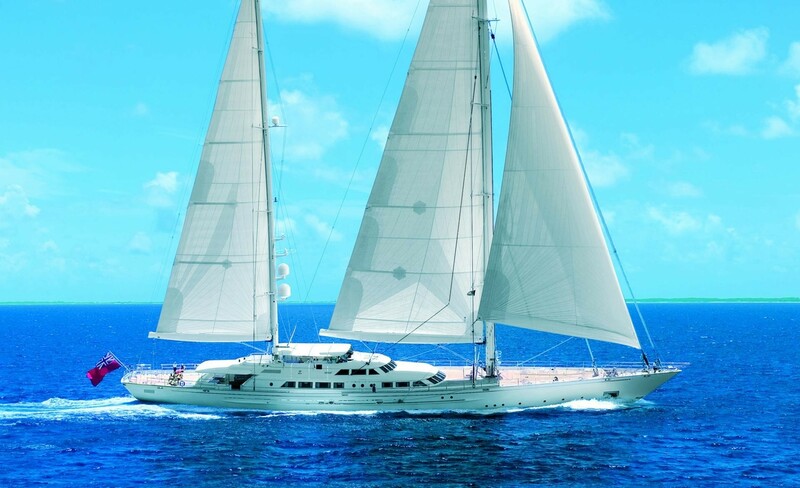 Luxury yacht SPIRIT OF THE C's (ex Felicita West) was built in 2003 by Perini Navi with naval architect Ron Holland, and Nuvolari Lenard interior designers. 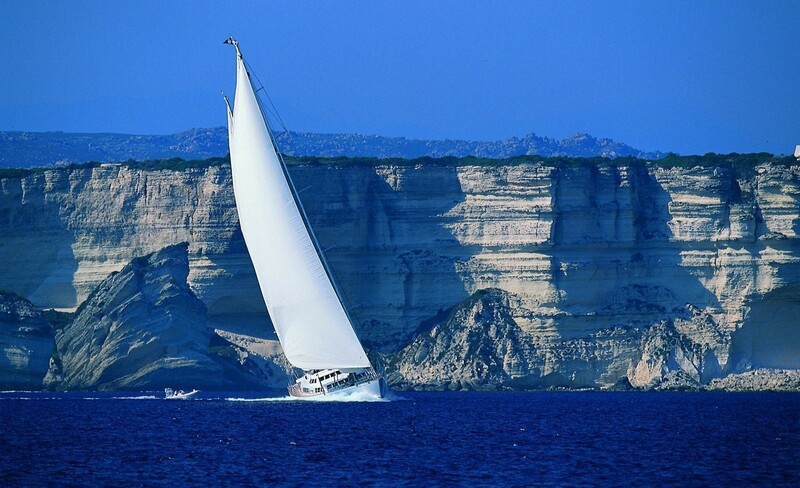 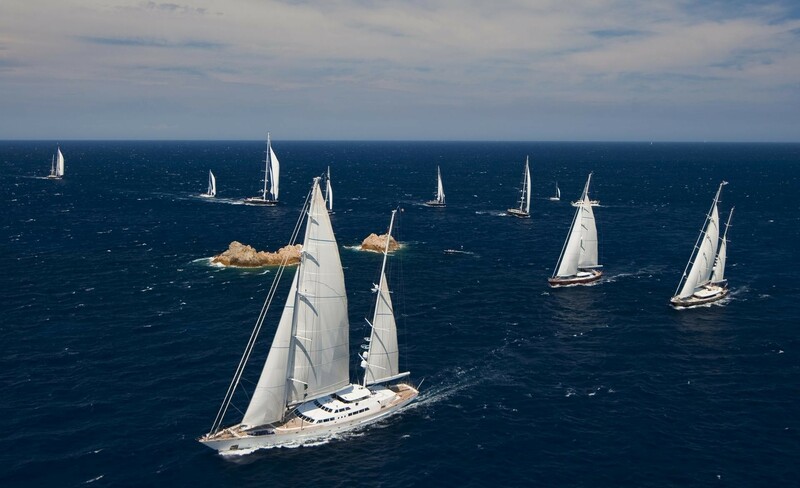 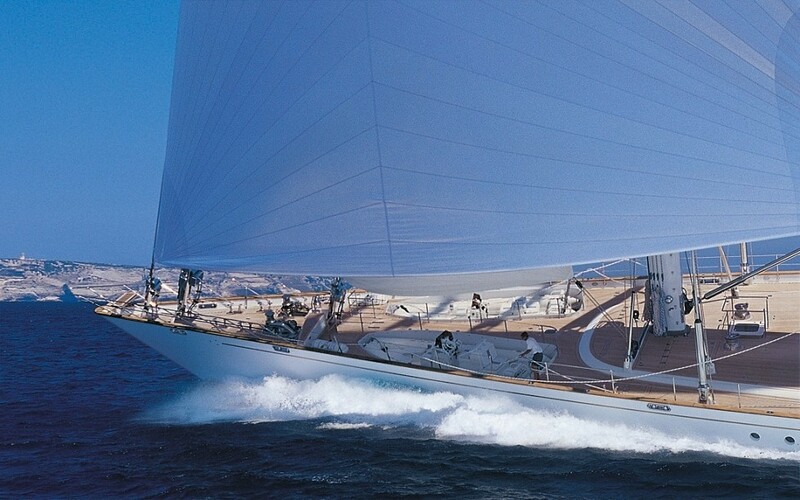 Sailing Yacht SPIRIT OF THE C's is one of the largest and fastest aluminum sailing yachts in the world and she is available for charter throughout the Mediterranean and Caribbean. 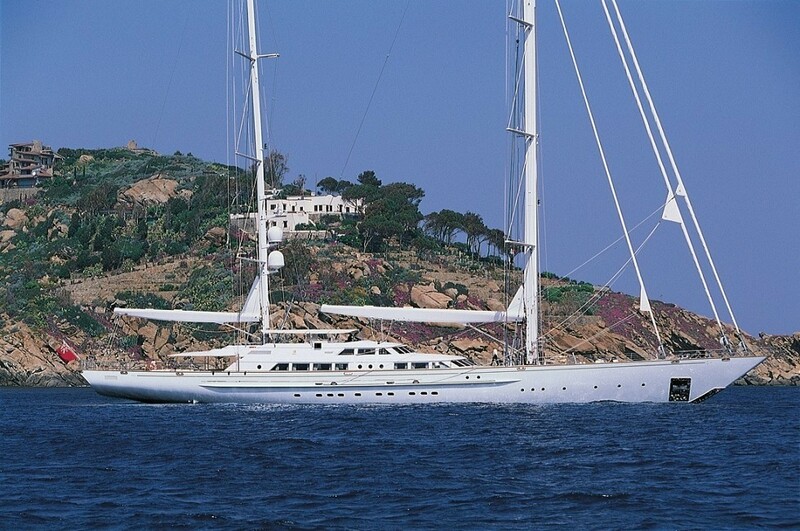 The superyacht received an extensive refit in 2011 and 2014. 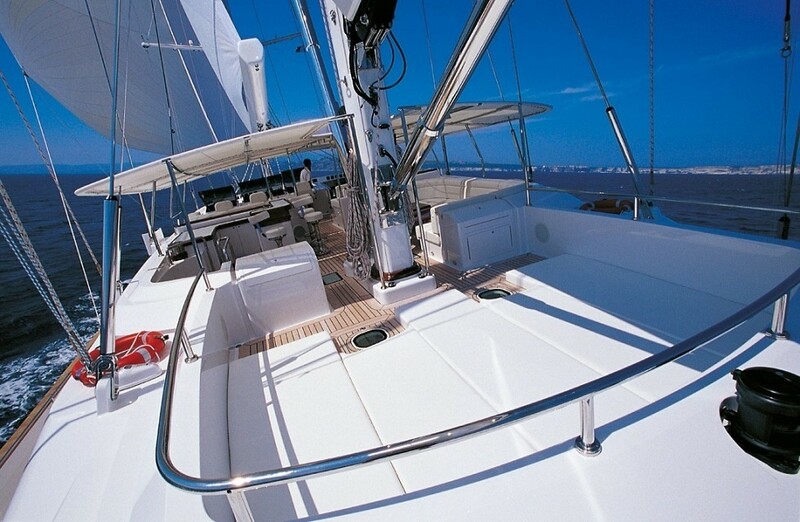 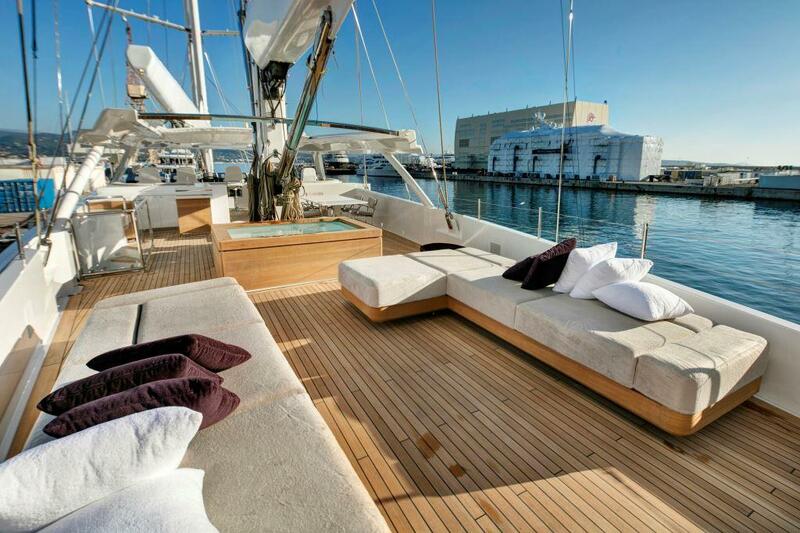 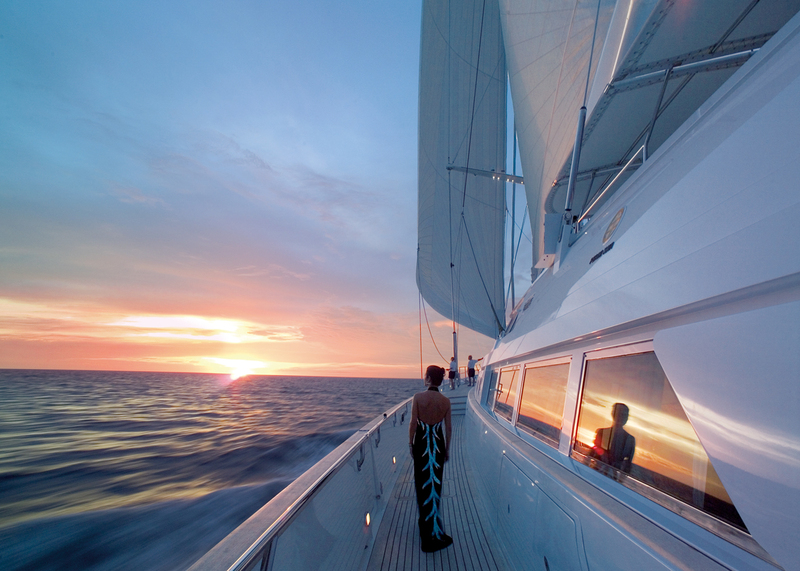 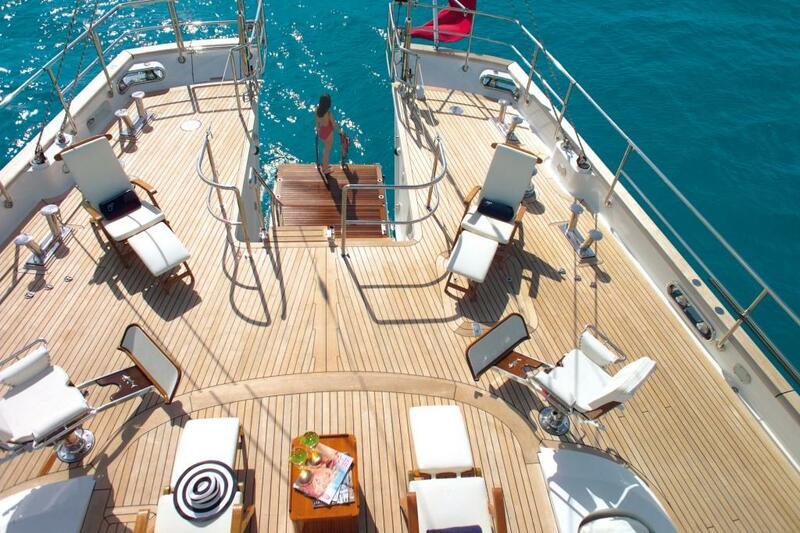 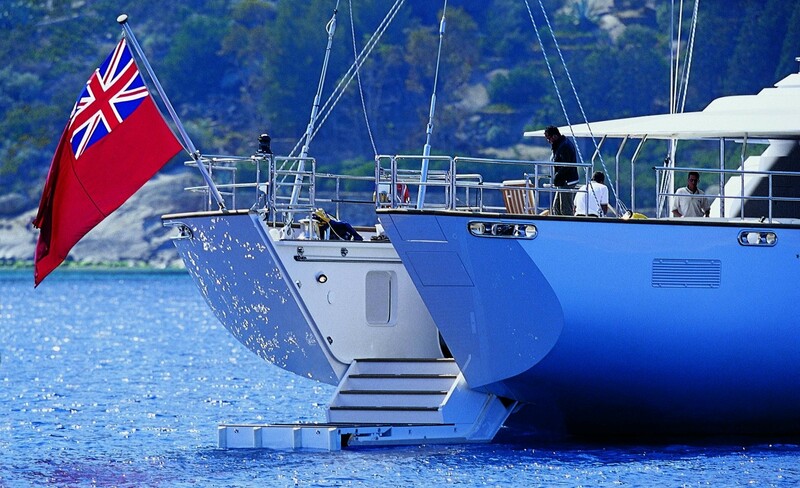 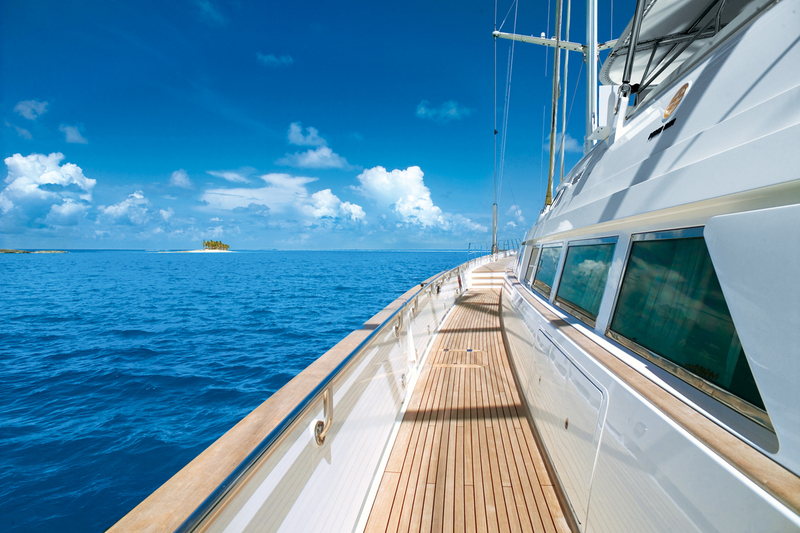 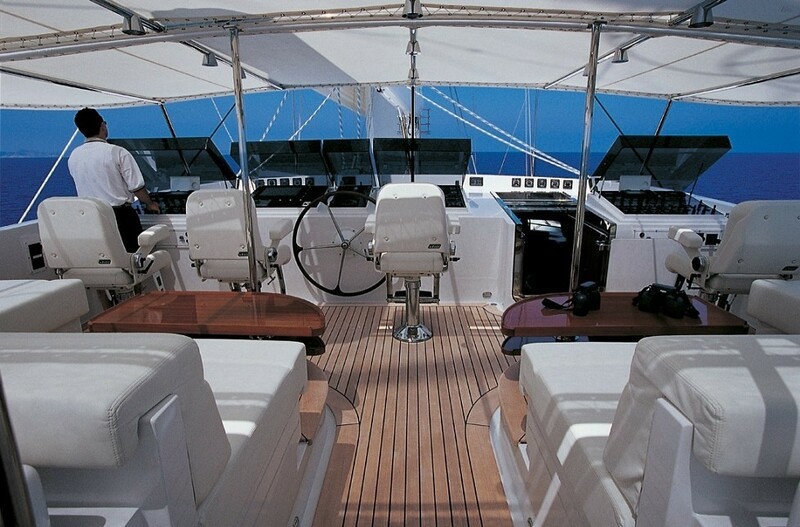 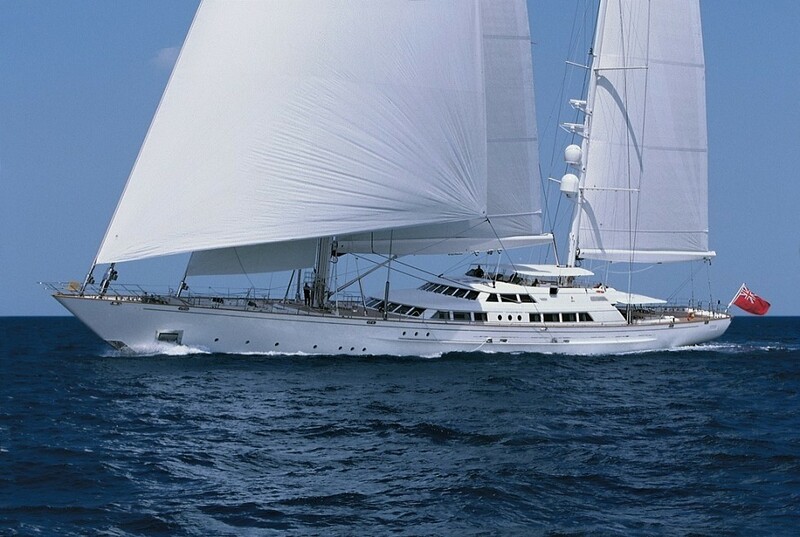 She offers a superb sailing experience and the highest levels of luxury and comfort. 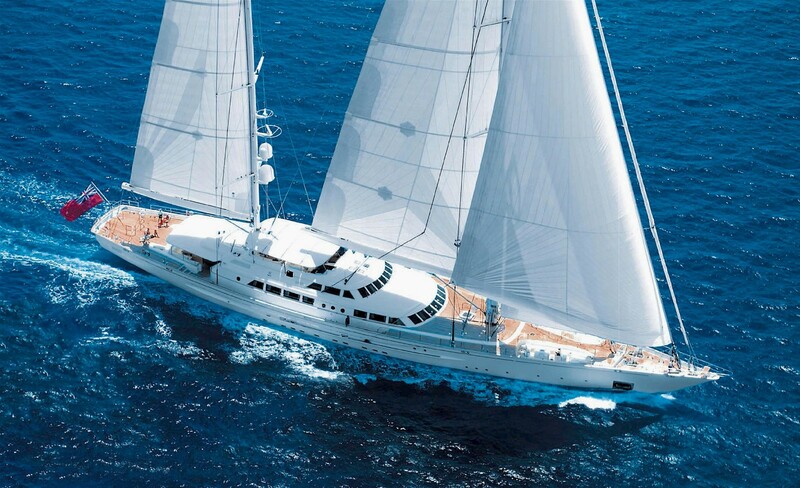 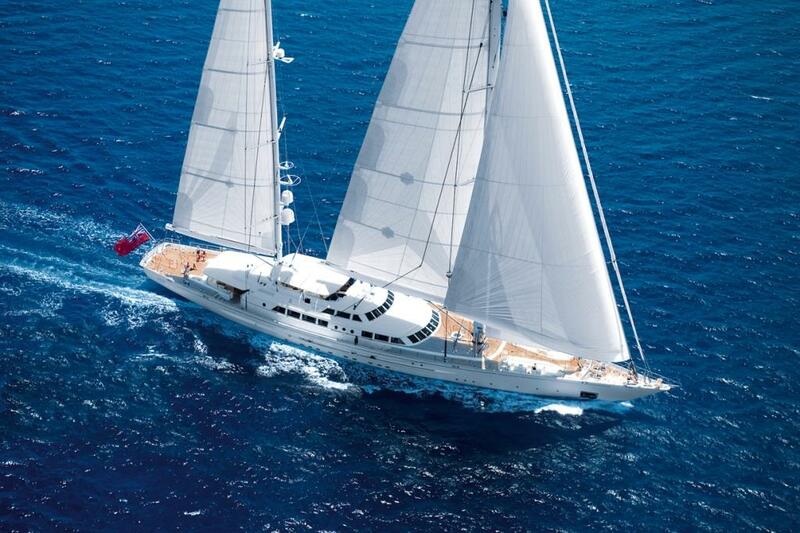 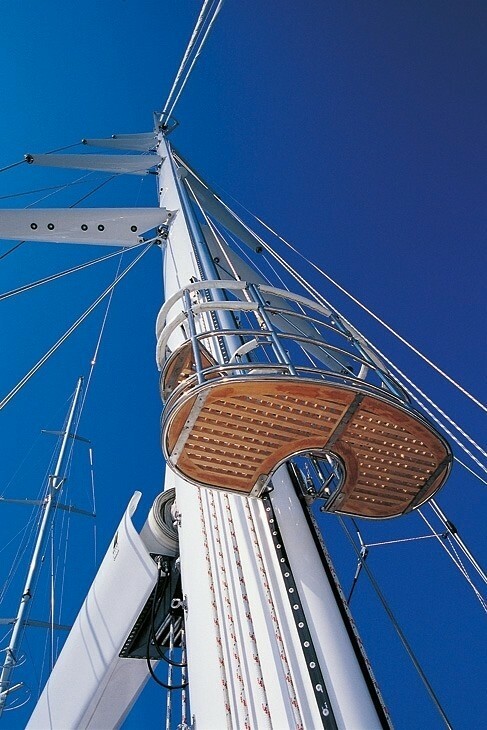 At 64m or 209'11" in length, she is capable of high hull speeds under sail. 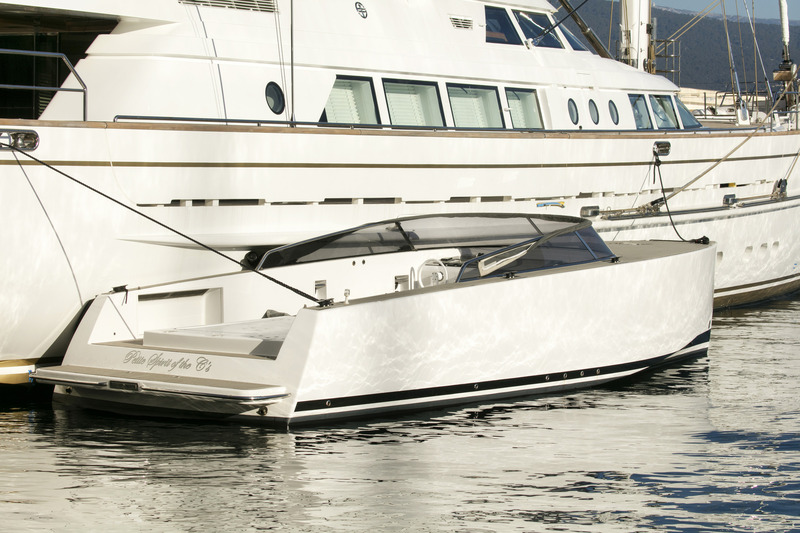 Also her generously wide beam of 12.7m or 41'72" means the yacht provides very spacious internal volume, sweeping decks (and side decks) and a very stable cruising motion. 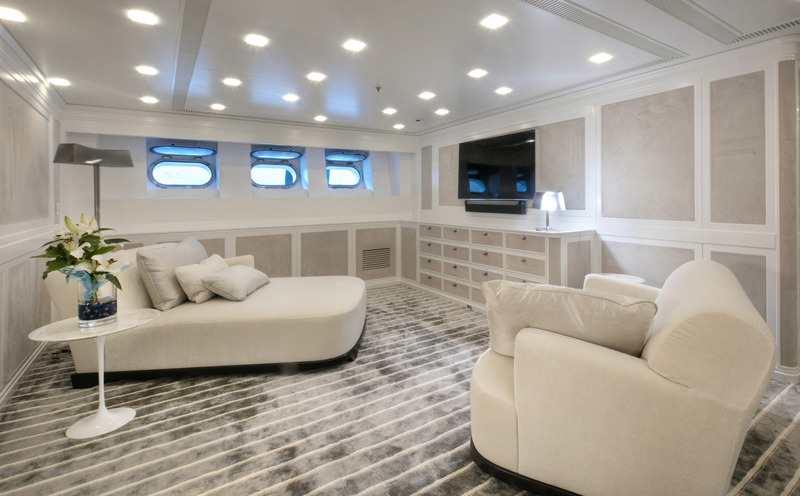 SPIRIT OF THE C's flybridge is also very large and a full 12 charter guests can sit, relax, eat, enjoy the view and be entertained in either sun or shade. 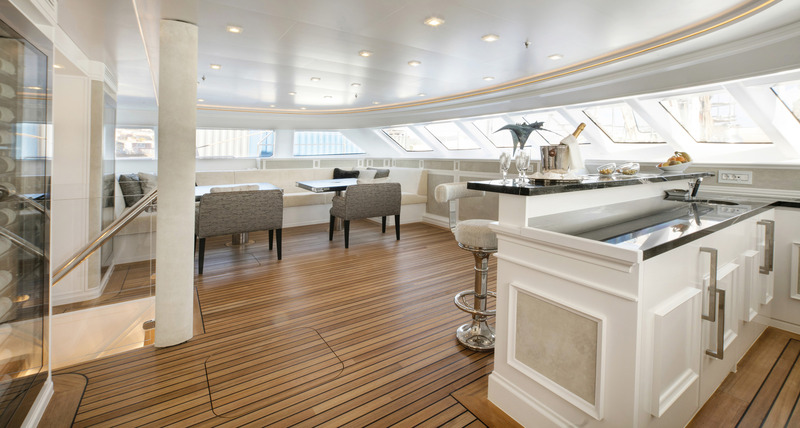 This deck includes a second alfresco dining area and bar. 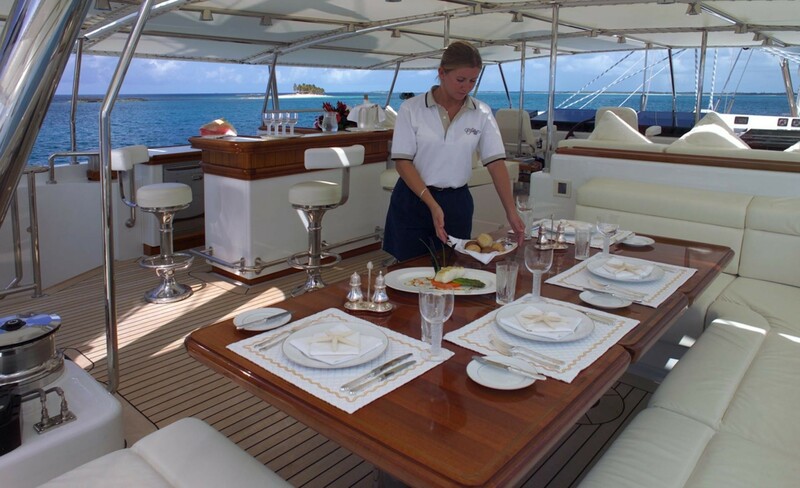 Guests tend to enjoy most alfresco meals in the fantastic dining area in the shaded sunken aft cockpit where the professional crew transforms the scene from informal breakfast through buffet lunch to a sumptuous dinner. 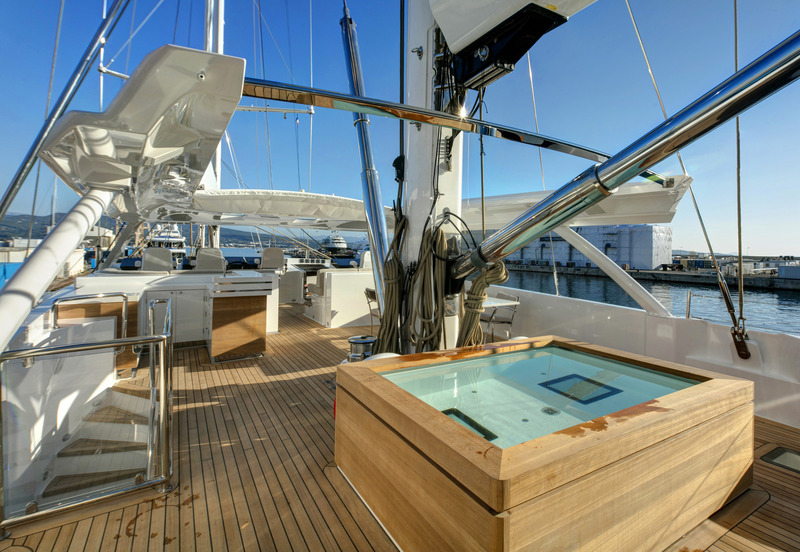 A large swimming platform can fold down from her aft deck giving great water access or a landing for the yacht’s jet tenders or small sailboats. 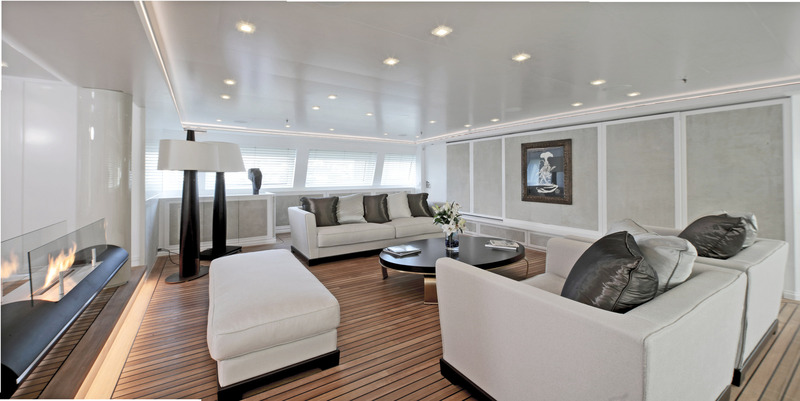 The style and comfort continue indoors with endless spaces for entertaining or relaxing in privacy. 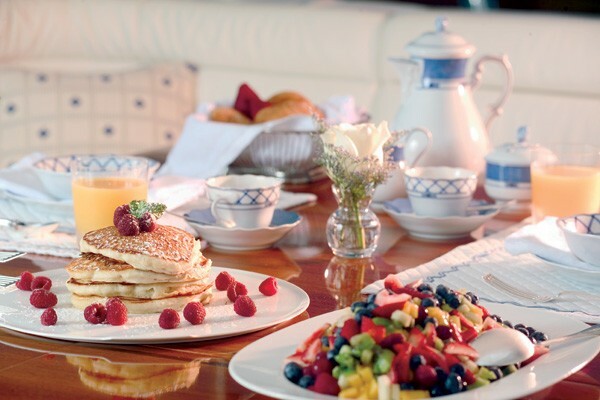 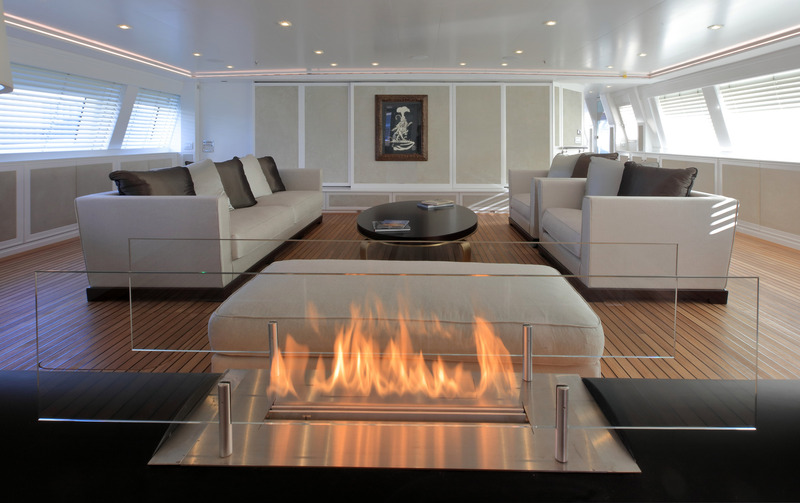 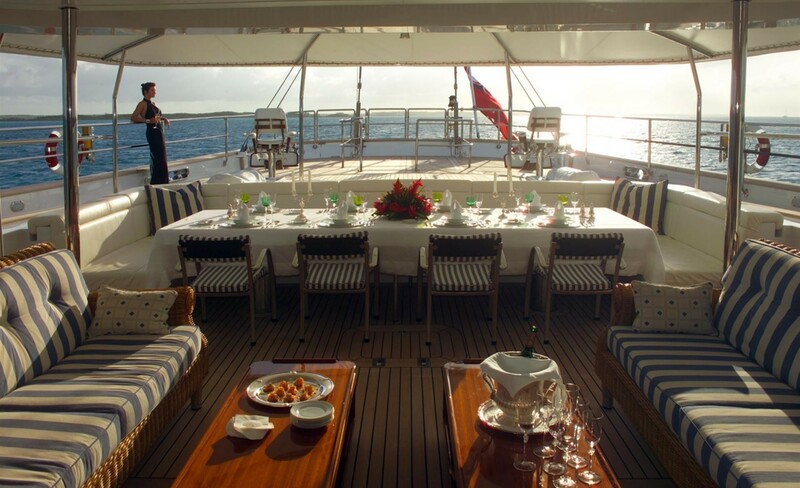 SPIRIT OF THE C's interior décor is warm, homely and very comfortable and no doubt guests will feel immediately at ease on this magnificent charter yacht. 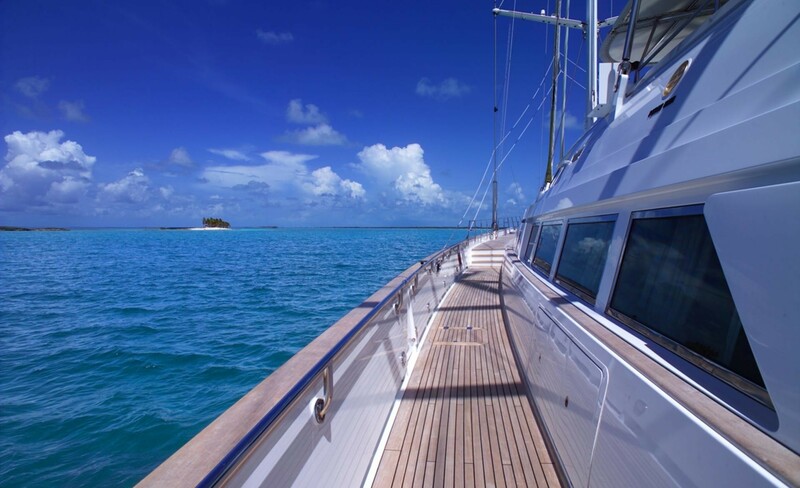 2014 refit: The yacht received a new paint job, inspection of shaft lines and rudder bearings, installation of new air-conditioning and exhaust systems, and installation of a top security system. 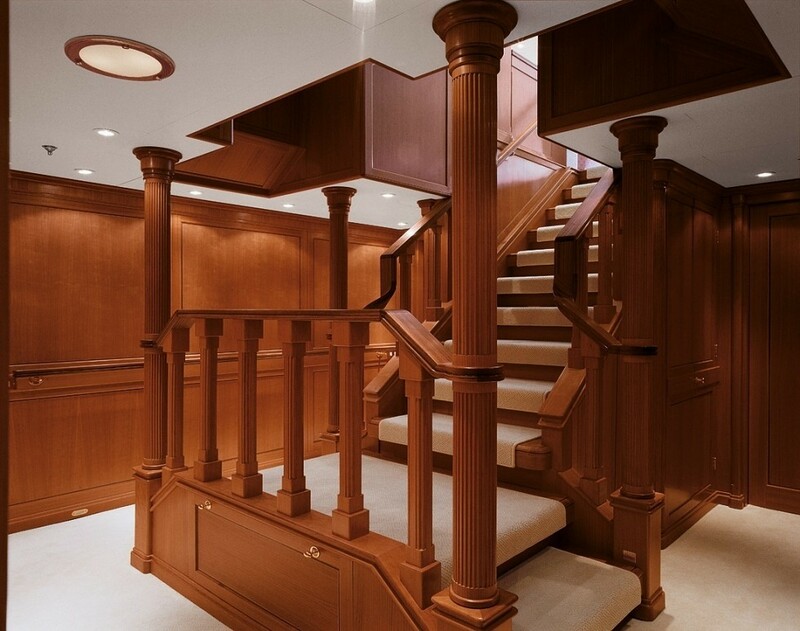 SPIRIT OF THE C’S yacht's refit also includes an interior refit, as well as some upgrades to her tenders and toys. 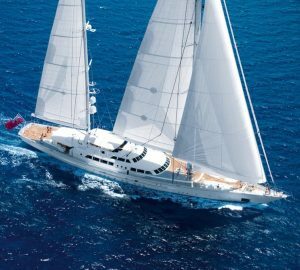 Sailing Yacht SPIRIT OF THE C'S provides accommodation for up to 10/12 charter guests, she has a full beam (41.5') double Master suite complete with sitting room, walk-in wardrobe, and a superb bath. 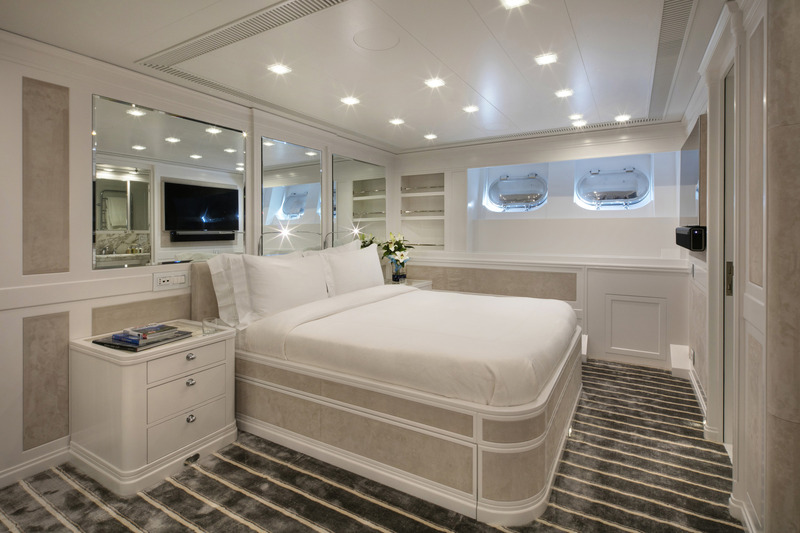 Two queen bedded cabins with Pullman bunks, as well as two further twin bedded cabins with Pullman bunks. 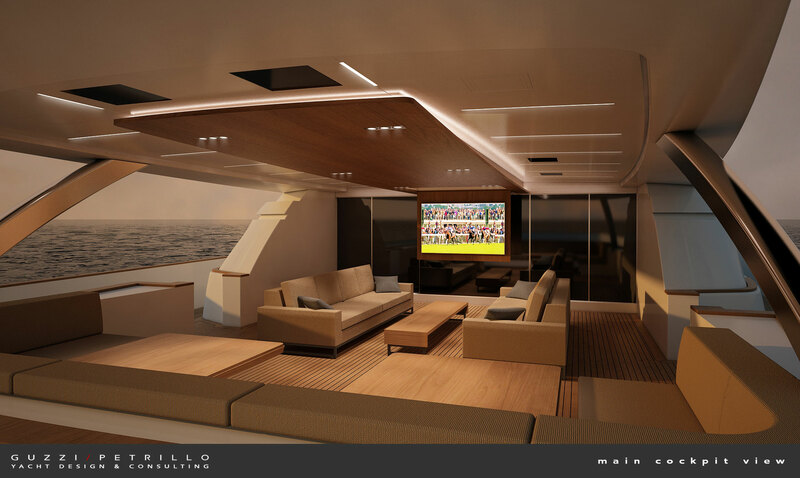 Her ideal maximum is 10 however in family situations the Pullman berths may be used to accommodate up to 12. 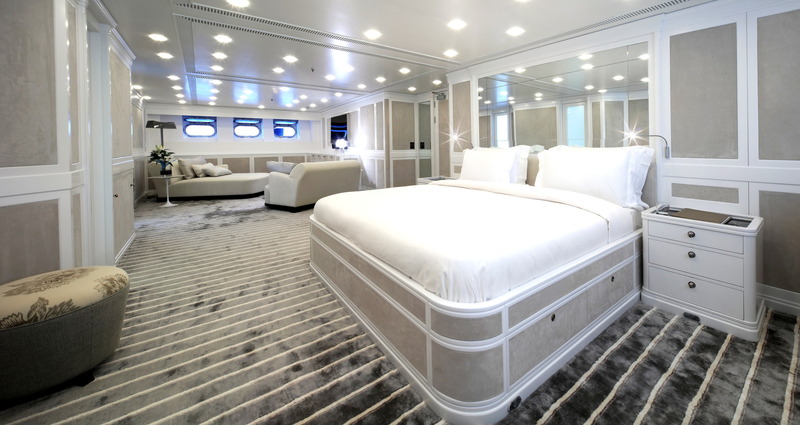 All her cabins have full ensuite bathroom facilities, climate control, sat TV, VCR and DVD music.